UK pubcaster the BBC is to increase its funding in English-language programming at its Welsh operation by £8.5 million (US$10.6 million) per year. The BBC claimed the increase, which will take its total investment in English-language TV in Wales to about £30 million by 2019/2020, is “the biggest expansion of BBC Wales television output in a generation” and is 50% more than the current level. The news is a huge boon to Welsh production, which has been under pressure from broadcaster budget cuts, and to BBC Wales producers, who shoot Doctor Who in the territory. The new funds will be spread across comedy, entertainment, drama, factual and cultural programmes, while a new BBC Wales iPlayer channel is being created to increase visibility and prominence of content to audiences in Wales. In all, the BBC expects the investment to lead to 130 new additional hours of programming to the current total across BBC One Wales, BBC Two Wales and BBC iPlayer; to create £5 million in on-screen investment through coproduction agreements with other broadcasters and producers; and hand a major financial boost for the Welsh production sector. BBC director general Tony Hall described the plan as “transformational”. Two “major” dramas will be announced “in the coming days” as the new investment immediately kicks in. 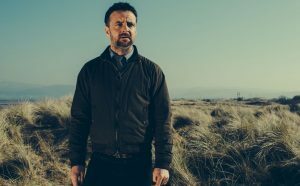 Furthermore, the BBC will appoint a drama commissioner for Wales, introduce a writers’ room team to support drama and comedy development, create a £2 million fund for factual and scripted that reflects the devolved UK nations, and has committed to producing at least 5% of its output in Wales. Last September, the BBC agreed to fix its levels of funding of Welsh counterpart S4C at a rate of £74.5 million per year until the end of the current government charter agreement. S4C said goodbye to its CEO, Ian Jones, in December. Meanwhile, former BBC Worldwide US drama bosses Jane Tranter and Julie Gardner launched prodco Bad Wolf in Wales, a move that local government said would bring £100 million of investment into the region.